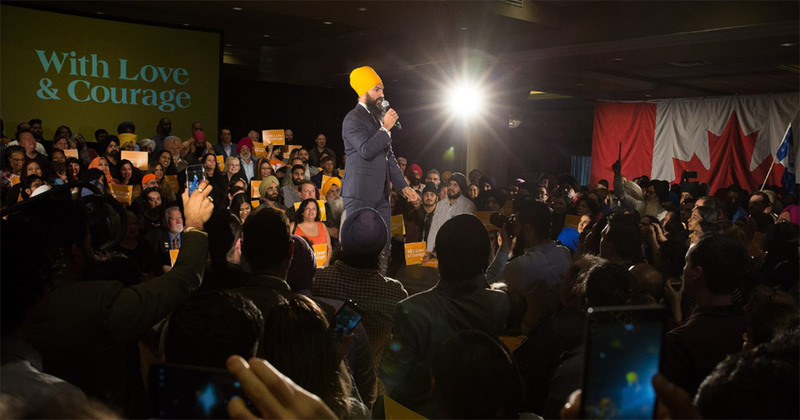 Canada's NDP leader Jagmeet Singh today called on the Canadian government to investigate claims the Indian government interfered in its affairs. It could set off another angry response from India. Jagmeet Singh tweeted: "Canadians are concerned about the allegations of foreign interference by elements of the Indian government. If true, they do serious harm to our democracy." "New Democrats are calling on the government to investigate their claims of interference and provide Canadians the truth," he added. Last week a Canadian government official implied the Indian government deliberately let Jaspal Atwal, the man at the centre of this controversy, into the country while Trudeau was touring. That gave the Indian government an opportunity to embarrass Trudeau and reinforce their view that the Canadian government was too close to 'Khalistani extremists'. When the Conservatives asked Trudeau whether he agreed with that implication, the PM said: "When one of our top diplomats and security officials says something to Canadians, it is because they know it to be true." Atwal was convicted of an attempted assassination of an Indian cabinet minister in 1986. He was previously banned from entering India. The Canadian Conservative party leader Andrew Scheer called it a "conspiracy theory" and said it was "irresponsible" for the PM to make the accusation without proof. The Tories then tried to embarrass Trudeau with a motion on "Khalistani extremism", calling on Trudeau to "stand with a united India". But the motion backfired after outrage from Canadian Sikh groups. The Tories pulled it. Jagmeet Singh's tweet today gives cover to Trudeau and puts the Tories in a difficult spot. They are unlikely to keep pressing on the issue if it further antagonises Sikhs. After Trudeau defended the Canadian offical's claims about Indian interference, the backlash from the Indian government was swift. A spokesperson said the claims were "baseless and unacceptable". But since then there hasn't been much noise.